Espere Healthcare Blog: Is your Itch an Allergy or Eczema? 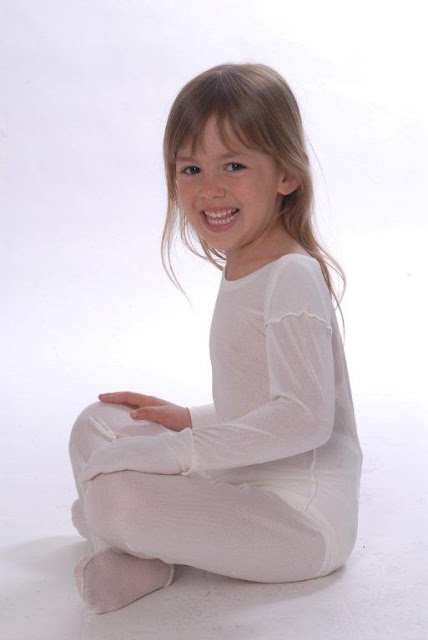 Thanks to a number of clinical trials, we now know that DermaSilk clothing dramatically reduces redness, swelling and intense itching on the skin, which is why many dermatologists now prescribe DermaSilk for children with eczema. The medical grade silk fibres are smooth and hypoallergenic so they calm the itch. The special weave of the fabric allows the skin to ‘breathe’ and the silk absorbs any excess moisture, so it maintains the skin at the ideal temperature and humidity. No itching means no scratching and the permanently bonded antimicrobial in DermaSilk not only prevents secondary infections, but helps speed up the healing process. Eliminating the nocturnal itching means the child gets a good night’s rest so life can return to normal both for the patient and mum and dad. So if your child is one of the growing number that suffer with eczema or an allergy, there is an easy way to control the itching and redness. A DermaSilk body suit is ideal for babies. Tops, pants or even sleeves and leggings can be worn under normal clothes in older children, and wearing DermaSilk pyjamas means they’ll get a good night’s sleep. There is further information on the website and you can purchase all DermaSilk garments on-line from www.dermasilk.co.uk. The majority of the garments are also available on prescription for both adults and children. My daughter is always irritated during night time and I can't sleep too because of her finger eczema. I'm really much confused as to waht I would put into it so that she'll be calm. She keeps on scratching it..